Calculate the cost to install a tankless hot water heater, gas or electric. Depending on the type of water heater you want, the estimator will either add a power venting module (for gas), or include an electrical panel upgrade to 200 Amps (for electric). Estimate Tankless Water Heater Costs Now! 1) Select your fuel source (Gas or Electric). This will have a major impact on how much you will end up spending. A tankless gas water heater is more expensive. 2a) If electric: Select your current electric panel (AMPs) and how many people live in the house. 2b) If natural gas: Select if your gas hot water heater can be directly vented into the chimney OR it needs a power vent. In most cases, you will need the power venting option. We recommend you price it both ways. The difference is about $470 extra, for power venting. 3) Choose the “quality” of your hot water heater: They can be cheap or expensive, depending on the brand, features, and other factors. Many gas tankless water heaters can cost from $600 to over $2000. I do think a “premium” option is excessive and unnecessary, but would recommend staying away from many low-end brands, due to reliability concerns. 4) Select if this is a new install OR retrofit (replacing an old leaking tank) job: It is much easier to install a water heater in a new home – you don’t have to worry about clutter, moving pipes/electric cables, etc. Everything is pre-planned, or can be easily adjusted. However, if it is a new construction home, you will need to do a “Power Vent” 99% of the time, as new homes don’t have masonry chimneys. 5) Enter your region: Keep in mind that local installation prices vary as much as 30%. Pacific region (WA, OR, CA) is the most costly, while West South Central (TX, AR, LA, OK) is the least expensive. 6) Get your estimate: You will get 3 price ranges – Low, Mid and High. This reflects different quotes that you may get from Plumbing / HVAC contractors, depending on how competitive / busy they are, overheads, and profit margins. Pro Tip: You may want to think twice about hiring a contractor who gives you a very low price. 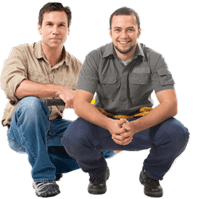 Often, this means that he is not insured and may even be unlicensed, which is very critical when working with plumbing, gas or electricity. Moreover, these “cheap” contractors will most likely not have a master gas piper or master electrician, may not pull job permits, and will try to do things they are not licensed for. So keep this in mind and verify licenses and insurance certificates, when getting quotes. It turns out that there are many pros and cons that both on demand gas and electric water heaters have. It all really depends on your household needs, usage preferences and budget. In most cases, it is smart to go with a gas model, if your house is already outfitted with this power source. Doing a retrofit power source switch can be very expensive, and you need to carefully consider whether long-term benefits and savings will offset the initial high cost. When you research different options, you will discover that a tankless gas heater is significantly more expensive than an electric one. Budget gas models cost $700 and go up to $1,600.. On the other hand a tankless electric water heater starts at around $200-250 . The most expensive electric options are $700-800. This is the equivalent of the cheapest gas tankless heater. Moreover, a gas water heater is a lot more powerful than an electric one. This makes it a better fit for a large household that uses a lot of water on demand. Usually, due to lower gas than electricity costs around US, you can save at least 10% on the operating costs of a gas device compared to an electric one.